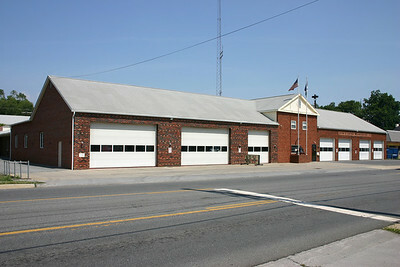 John H. Enders Fire Company in Berryville - Clarke County Station 1. 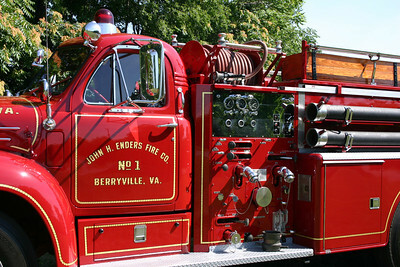 Berryville's Engine 1 is this 2000 Pierce Dash with a 1250/750 and job number 11398. 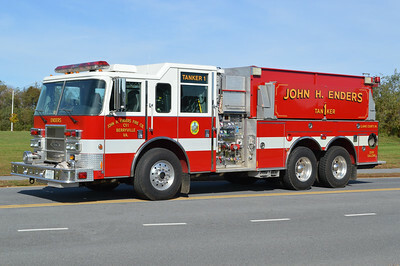 Engine 1 carries extrication equipment. 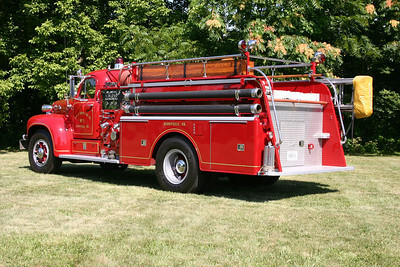 Berryville's Wagon 1 is this nice 1991 Pierce Lance 2000/1000/40. 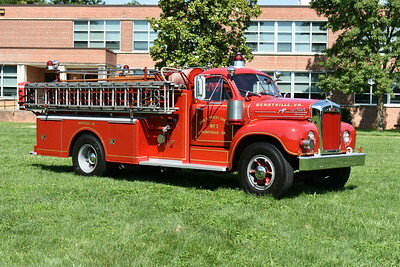 Berryville's Wagon 1, a 1991 Pierce Lance, photographed at the Clarke County High School. 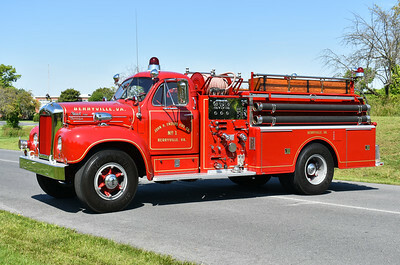 The "1" fixed to Wagon 1's (1991 Pierce Lance) Federal Q at Berryville, VA.
Berryville, Virginia Tanker 1, a 2002 Pierce Dash 1250/2500 with job number 13496. 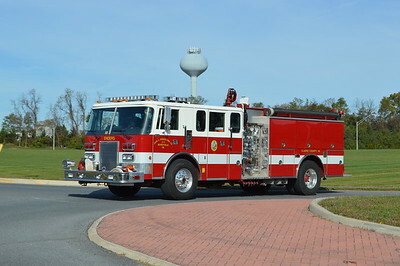 An officer side view of Tanker 1 from Berryville, a 2002 Pierce Dash 1250/2500 with job number 13496. 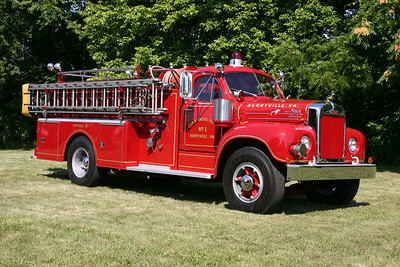 Berryville's Tanker 1 - 2002 Pierce Dash 1250/2500. "Hydrants? Who Needs Em!" 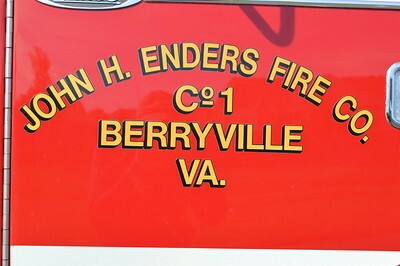 Berryville, Virginia - John H. Enders Fire Company - Clarke County. 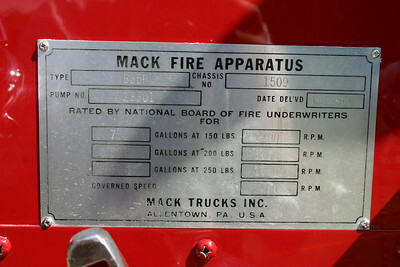 1965 Mack B85F delivered on 1/28/1966. 750/600 with serial number 1509. It received a 1996 rehab by JR's Auto Body. Photographed in June 0f 2017. 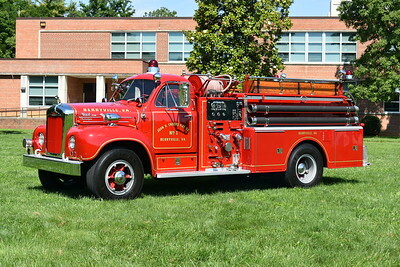 The Mack outside of the fire house. 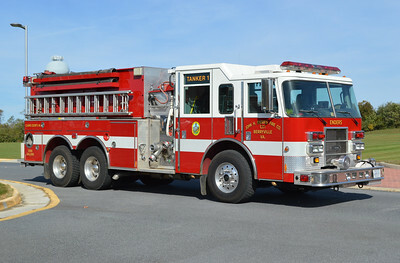 Former Engine 1 from Berryville. 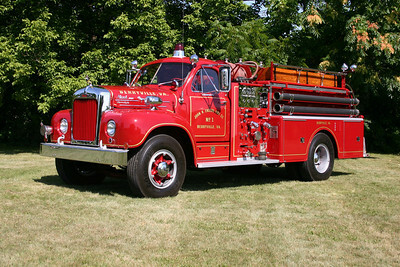 The department still owns this beautiful 1965 Mack B85F 750/600, sn-1509. 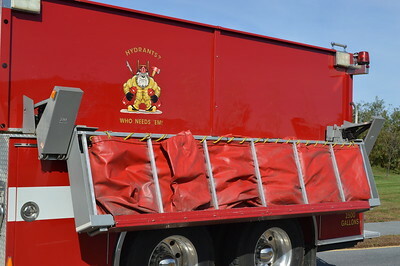 This photo appeared on the cover of the Virginia Fire and EMS magazine. 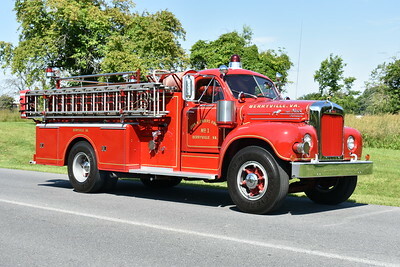 Officer side of the 1965 Mack. 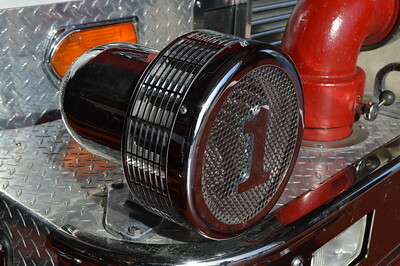 This is the departments antique, but could be pressed into service if needed. 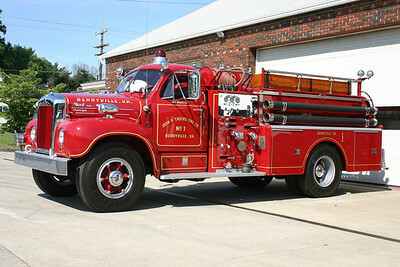 Rear view of the Mack. Plate found on the '65 Mack. Close up of the pump panel. 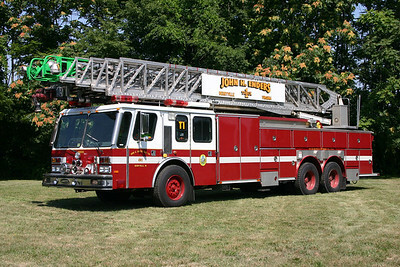 Berryville Truck 1 is a 1984 E-One Hurricane with a 135' ladder. 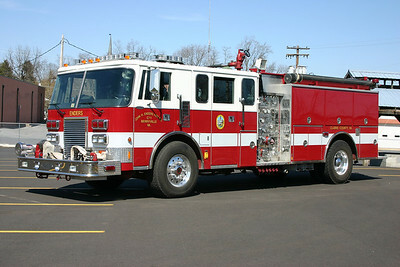 It returned to E-One in 1997 where the cab was enclosed into a four door, along with other work. 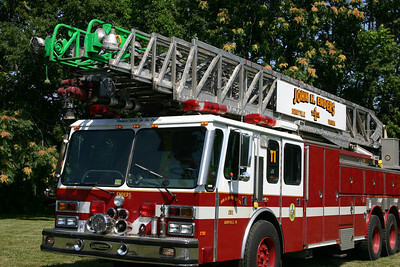 This is one of a few 135' ladder trucks in Virginia. 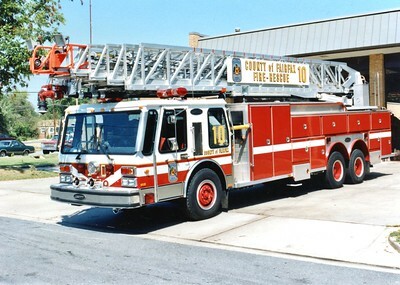 Truck 1 is former Truck 410 from Baileys Crossroads in Fairfax County, Virginia. Truck 1 taken at a field near the Berryville fire station. 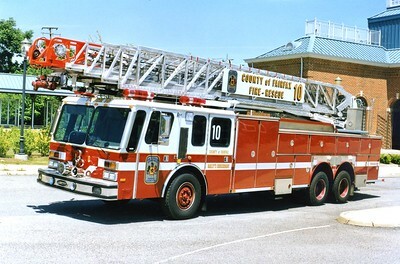 A close up showing "Longest Stick In The Valley" on Truck 1. 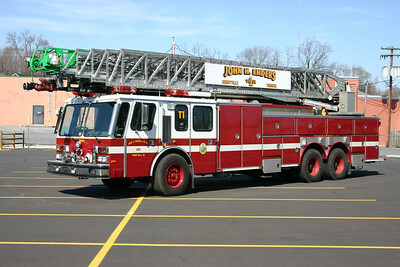 Former Truck 10, a 1984 E-One Hurricane/1997 E-One, 135', sn- 17019, Shop #7012. Rehab included 4-door addition, new jack system, a reconditioned aerial, and air conditioning. 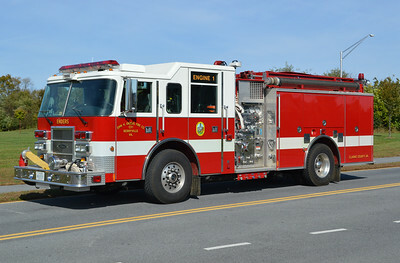 Truck 10 prior to the refurb, a 1984 E-One Hurricane, 135', sn- 3520, Shop #7012.